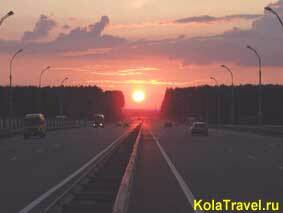 Summer holidays on Kola Peninsula and Murmansk Region 24hours/day summer holidays! 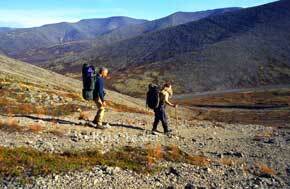 Hiking holidays: Discover the Kola Peninsula’s natural wonder by hiking through the Monche, Lovozero, and Khibiny Mountains. Experience it during our bright summer, or hike when the land is ablaze with autumn colour. Bicycle holidays: A host of intriguing discoveries await long-distance cyclists during a literally breathtaking 20-day biking trip over the Barents-route north of the Arctic Circle. 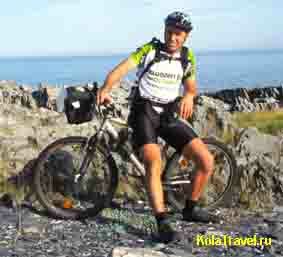 This long distance bicycle holiday has service car and luggage transport. 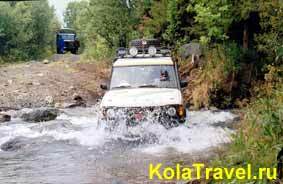 4x4 Car off-road holidays: A unique opportunity to penetrate the farthest corners of the Kola Peninsula using 4x4 wheel-drive vehicles. Visit places inaccessible to ordinary vehicles, such as the old Pomor villages on the White Sea and isolated labour camps from the days of Stalin, and enjoy the beautiful vistas from high in the Lovozero mountains. 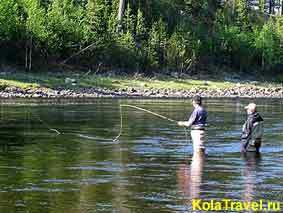 Fishing holidays: Hook the biggest trout in crystal clear rivers and lakes on the Kola Peninsula! Bus excursions holidays: From Finland we organise bus excursions to some of the most interesting and exciting places of the Peninsula. Examine the contrast between nature and what mankind can do with it. 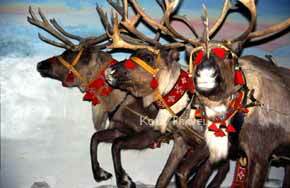 Familiarize yourself with the cultures of the Saami and the Tersky coast dwellers. Car holidays: Taste freedom while driving the roads of this beautiful northern land, stopping to wander ancient and modern-day streets of Russian cities and villages, and visit historical, cultural and natural places of interest. 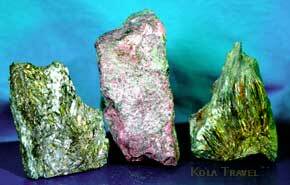 Ecological holidays: The Kola Peninsula is covered by tundra, forest-tundra and taiga (dense forest) and has wide variety of flora and fauna. 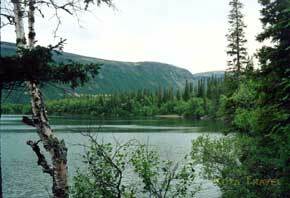 Get acquainted with the rich nature and culture of our fascinating northern area. 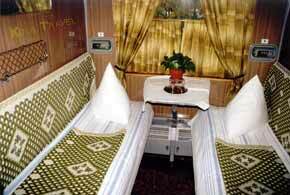 Train holidays: Travel first class in a two persons coupe through Russia. Visit the most beautiful cities of Russia and rail through the wild forests of Karelia varied by beautiful small villages, hills and lakes with magnificent views. Make from your holiday a lifetime experience in the Russian Triangle. Short visits: Are you interested in having a quick look at the mysterious country where the sun doesn’t shine in winter, and doesn’t stop shining in summer? 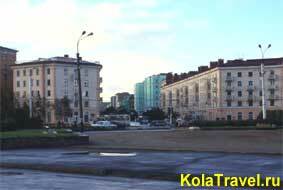 You can make a short trip to Murmansk on your own, where you will find a comfortable hotel already booked for you, as well as detailed maps and descriptions of local places of interest. Make your stay more enjoyable with our suggestions and assistance! Canoeing, boating and sailing holidays: Lake Imandra is the largest lake on the Kola Peninsula, containing numerous inviting bays. Wander about; live on the water with magnificent views of mountains; learn to sail; and get to know northern nature and culture (on special request). Excursions on the Kola Peninsula: Tailor-made programs for those who have more time or wish to focus on a particular aspect of the region (on special request). Special requests and incentives: We can arrange the rental of holiday houses and conference centres (on special request). Photo safaris, bear and bird watching holidays: On special request.